Groote Eylandt is the largest island in the Gulf of Carpentaria and the fourth largest island in Australia. It is the homeland of, and is owned by, the Warnindhilyagwa who speak the Anindilyakwa language. Groote Eylandt lies about 50 km (31 mi) from the Northern Territory mainland and eastern coast of Arnhem Land, about 630 kilometres (390 mi) from Darwin, opposite Blue Mud Bay. The island measures about 50 kilometres (31 mi) from east to west and 60 kilometres (37 mi) from north to south; its area is 2,326.1 km2 (898.1 sq mi). It is generally quite low-lying, with an average height above sea level of 15 metres (49 ft), although Central Hill reaches an elevation of 219 metres (719 ft). It was named by the explorer Abel Tasman in 1644 and is Dutch for "Large Island" in an archaic spelling. The modern Dutch spelling is Groot Eiland. Together with Bickerton Island and a few smaller satellite islands, Groote Eylandt forms Anindilyakwa Ward of East Arnhem Region. It contains the communities of Angurugu, Alyangula, Umbakumba, Yadagba District, Uburamudja District and Sandy Hill (Groote Eylandt) and Milyakburra District (Bickerton Island). Outside the local government subdivision is the mining company GEMCO town of Alyangula, which is unincorporated territory within the Northern Region of Northern Territory. Groote Eylandt is part of the Arnhem Land Aboriginal Reserve. GEMCO, a South32 / Anglo American plc joint venture, operates a large manganese mine near the community of Angurugu. In operation since the early 1960s, the mine produces more than 3.8 million tonnes annually – about a quarter of the world's total. The island has until recently been open to the public only with permission, and the local Aboriginal Land Council did not encourage tourism. There is now a resort style hotel on the island and visitors are welcome. The island is becoming renowned for its fine Aboriginal rock art sites, arts and crafts and outstanding sport-fishing including sailfish, marlin, tuna, Spanish mackerel, giant trevally, queenfish, and coral trout. The whole of Groote Eylandt and its surrounding waters lie within the Anindilyakwa Indigenous Protected Area. An unnamed islet off the north-eastern coast has been classified by BirdLife International as an important bird area because of its global importance as a roseate tern breeding site. Prior to European settlement, Groote Eylandt had been inhabited by Aboriginal people for thousands of years and there had been regular contact between local Aboriginal people and Macassan traders, evident in the names of some Groote Eylandt settlements, such as Umbakumba, which can be traced back to a Macassan origin. The first recorded sighting of Groote Eylandt was in 1623, by the Dutch ship Arnhem, under Willem van Coolsteerdt. However, the relative prevalence of the hereditary Machado-Joseph Disease (MJD) in the Groote Eylandt community (a condition otherwise mainly found in the Azores) was previously suggested as evidence of early contact with Portuguese sailors. (Contact with Chinese traders has also been suggested as a cause.) Recent genetic studies showed that the Groote Eylandt families with MJD shared a haplogroup with some families from Taiwanese, Indian, and Japanese families. The island was given its current name in 1644, when Tasman arrived. The first European settlement on the island was established at Emerald River in 1921, in the form of a Christian mission by the Church Missionary Society. During World War II, in 1943, the mission moved to Angurugu, as the RAAF required the use of the mission's airstrip: the ruins of the RAAF base are still evident today. In 1856 the local aboriginal conglomerate that regularly passed was known as the Jurambunga tribe. 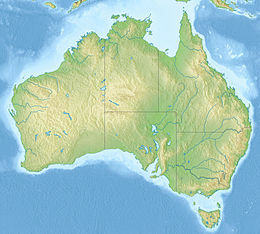 The island was also used as a flying boat base by Qantas for a period of time. In 1979, control of the island was transferred to the local Aboriginal Town Council. Groote Eylandt was converted to Aboriginal freehold title land following the passing of the Aboriginal Land Rights (Northern Territory) Act 1976. On May 20, 2008, the federal government signed a deal with local Aborigines from Groote Eylandt to lease land to the government for 40 years. In return, the government will spend money in the community with the aim of improving housing, education and health in the area. The Eylandt Echo newsletter is produced each fortnight. The newsletter's goal is to keep the community up to date on local news, events and recreation. The Eylandt Echo is sponsored by GEMCO as a community service. At the moment the people of Groote Eylandt are putting together a TV station showing a different variety of channels sponsored by GWN7. Donald Thomson (1901–1970), Australian anthropologist and biologist. David Warren (1925–2010), inventor of the flight data recorder, born on Groote Eylandt. Nick Kenny (1982–), former Brisbane Broncos rugby league player who moved to Groote Eylandt. Norman Tindale (1900–1993), Australian anthropologist, archaeologist, entomologist and ethnologist. ^ "Groote Eylandt Fish". www.grootefishing.com.au. Retrieved 24 March 2016. ^ BirdLife International. (2011). Important Bird Areas factsheet: Islet off NE Grooyte Eylandt. Downloaded from http://www.birdlife.org on 2011-07-13. ^ Cooper, D. "Name change for school", Ayakwa, June/July 2012, p. 19. ^ Martins, Sandra & Bing-Wen Soong (2012). "Mutational Origin of Machado-Joseph Disease in the Australian Aboriginal Communities of Groote Eylandt and Yirrkala". Archives of Neurology. 69 (6): =746–751. ^ "Nick Kenny lands on Groote Eylandt" (PDF). Eylandt Echo. 15 February 2011. p. 5. Retrieved 6 April 2015.